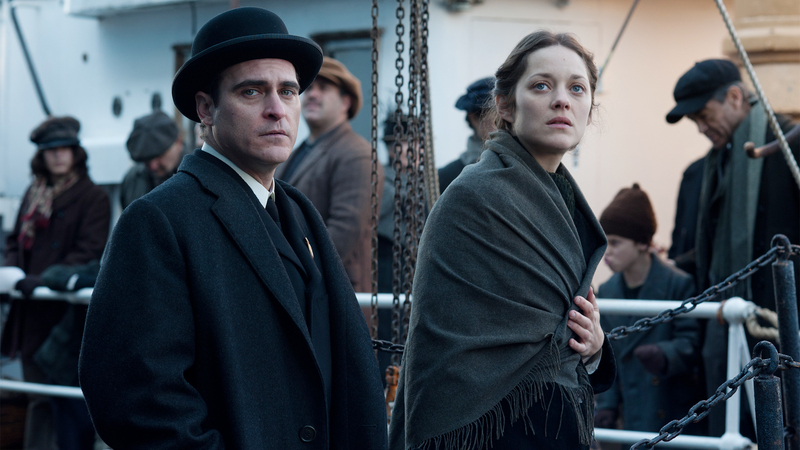 The Immigrant isn’t just set in the past, but feels like it’s been rediscovered from another time. The latest film from award-winning director James Gray ignites outdated modes of film making and highlights the perfect details behind a luckless Polish woman’s difficulty in attaining the American dream. The intelligence, maturity and honesty of this work is outstanding and a little bewildering to say the least. Upon arrival at Ellis Island, Ewa is immediately separated from her beloved sister Magda, ignored by her uncle and threatened with deportation back to Poland. All seems hopeless for Ewa until Bruno comes along with the promise of boarding and work at his theatre, which quickly proves as nothing more than a high-class brothel. However kindness arrives in the form of a charming travelling magician who falls for Ewa, meanwhile causing Bruno to become immensely jealous. The Immigrant has a melodramatic edge to it, but there remains something too fragile and tense about the actress in the role. The film delivers a performance that’s quite integral and charming, but also surprisingly forceful. You can never predict the behaviour and emotions of characters intertwined in the thick plot. The immigrant is almost a fatuous love story in a world haunted by fear. Bruno and Orlando are grown men with weapons, but their devotion to Ewa doesn’t make their actions feel any less immature. For such a gorgeous, thoughtful film, The Immigrant is more of an intellectual experience than an emotional one – mainly as a result of Ewa’s commiserating but never quite heartbreaking problems. The Immigrant is a simple love story in an undoubtedly terrifying adult world of hate, fear and abandonment. The film unfolds at its own pace, building slowly, perhaps even tediously towards its emotionally relieving conclusion. Such an incredible movie – and so cold too.